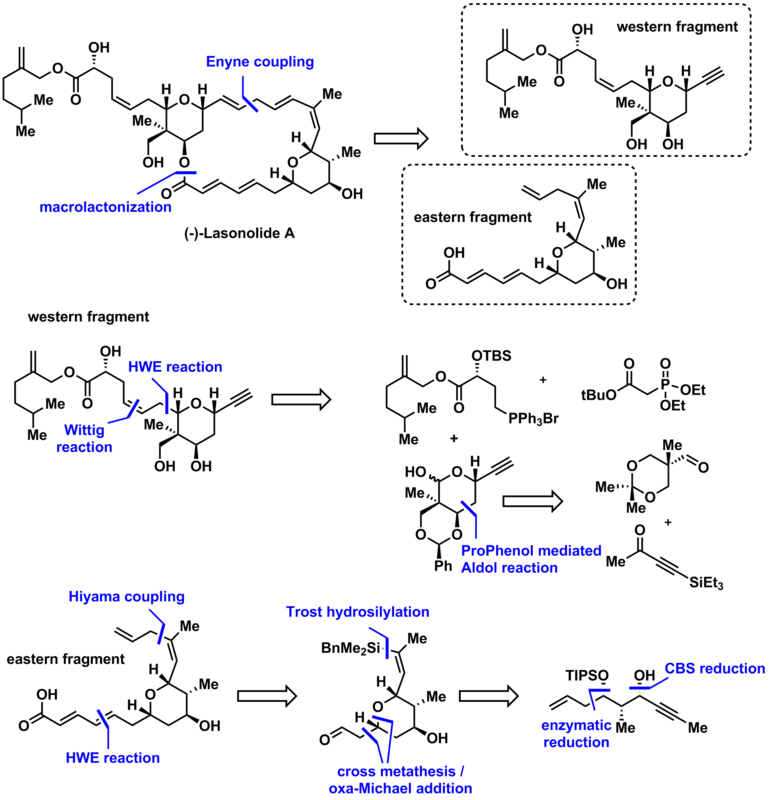 FR901483 is an interesting synthetic target with regard to the aza-tricyclic core structure and it’s biological activity “as an inhibitor of purine biosynthesis” which “acts with a novel mode action”. That’s all in the paper about biology so far. 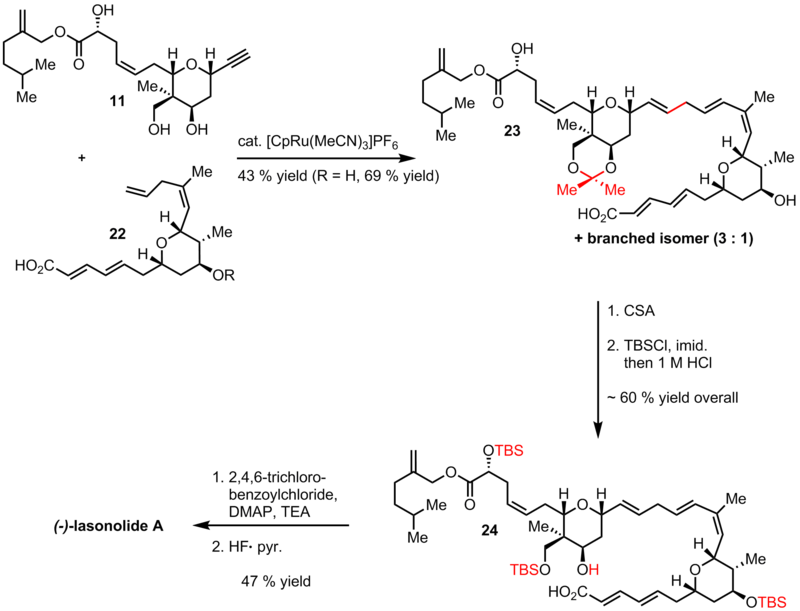 This is not the first synthesis of FR901483 but the first time that the intriguing ring closure was used in a total synthesis. 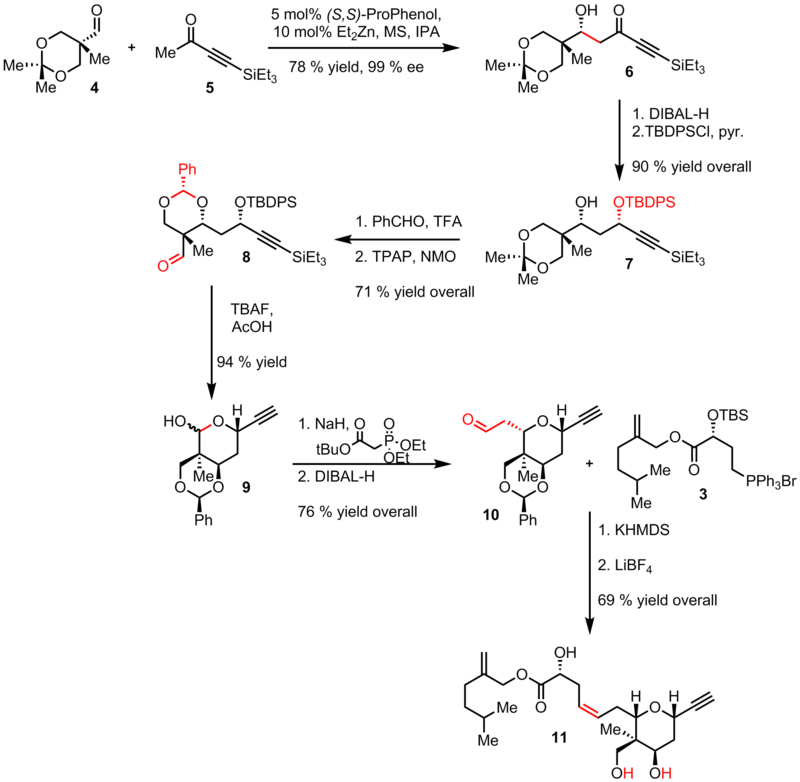 They decided to close the tricyclic core using their own methodology and combine the two fragments by a substrate controlled Reformatsky reaction. All in all an interesting synthesis especially (or almost exclusively) the ring closure. That’s it so far. A short paper needs only a short review I think. Maybe next time I got more time for writing. And the nice graphics compensate the short text.